The sensor and actuator properties of piezoelectric materials make them well suited for applications in a variety of microelectromechanical systems (MEMS). Simulating the response of piezoelectric devices requires solving coupled electrical and mechanical partial differential equations. 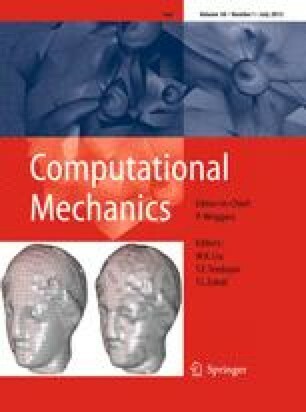 In this paper, we have implemented a meshless point collocation method (PCM) to solve the governing equations. Interpolation functions are constructed from a reproducing kernel approximation, and the governing equations are discretized using a collocation approach. PCM is implemented using either a relaxation algorithm or a fully-coupled algorithm. Comparisons between the two algorithms are given. To demonstrate the performance of PCM, the behavior of two static single-layer problems and a piezoelectric bimorph have been modeled. The bimorph analysis is extended to model a prototype MEMS device.